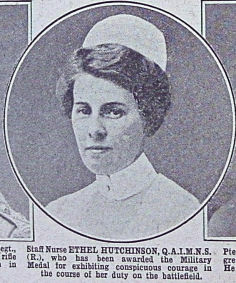 Ethel Hutchinson, nursing sister, Queen Alexandra’s Imperial Military Nursing Service Reserve, worked with Edie at 3 Casualty Clearing Station. Edie makes several references to her, usually in connection with off-duty walks together. See the names index for dates on which she is mentioned in Edie’s diaries. In October 2012 Ethel’s great niece, Barbara Blake, contacted us via Edie’s Visitors Book with more detailed information about Ethel and her family. Barbara’s mother, Evelyn Birkin (89), is Ethel Hutchinson’s niece and remembers her well. 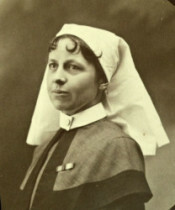 Ethel was born in 1875/6 in Nottingham, the first child of John and Mary Hutchinson. The eight siblings included: Ethel, Gertrude, Annie, Mildred, John, Ben, Thomas and Harry. The address she gave through most of the war was 300 Bluebell Hill Road, Nottingham. She trained at the London Hospital. She states her next of kin on many of the forms as ‘Gertrude Hutchinson’ but on one it is ‘Mrs Wallis’ so this was probably Gertrude married. 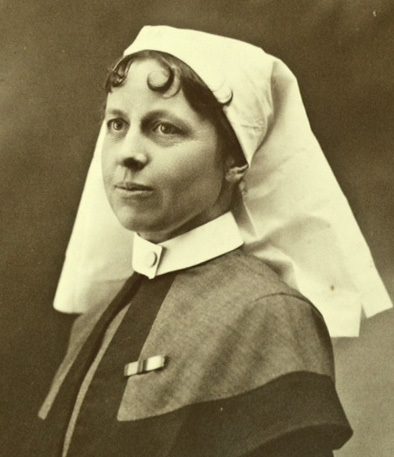 Awarded the Military Medal in 1916 while working at No.33 Casualty Clearing Station, Bethune. More information here. Here’s an undated cutting from The War Illustrated. The War Illustrated was a British war magazine published in London by William Berry. It was first released on 22 August 1914, eighteen days after the United Kingdom declared war on Germany, and regular issues continued throughout World War I.
Click here for more information on The War Illustrated.